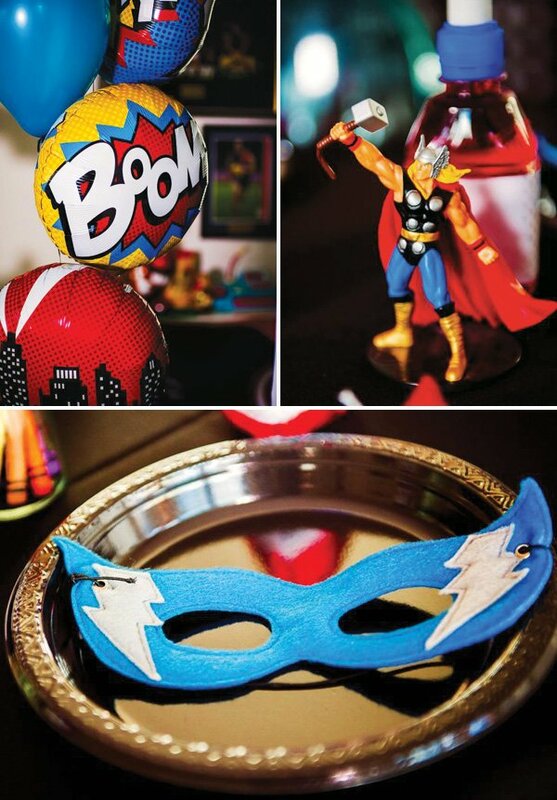 his 3rd birthday there was no other thought that crossed my mind than to give him an Superhero inspired Avengers Party. 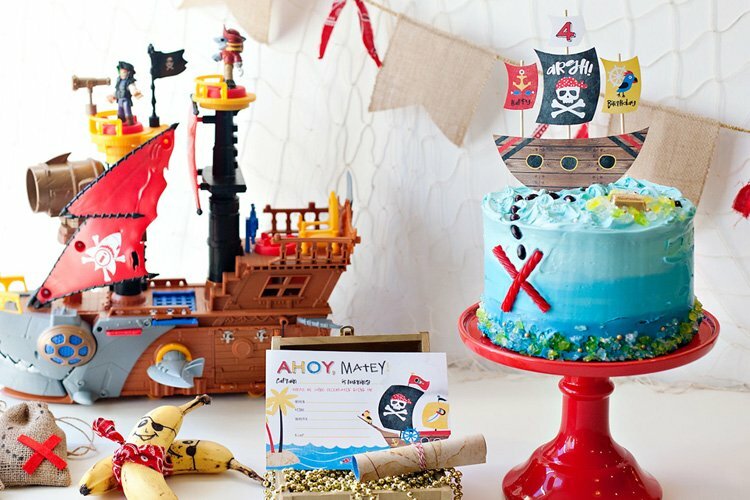 I wanted to try and do something different for the dessert table, so I had my father build me wooden plinths, which I painted in black chalkboard paint, drew on windows with chalk, and lined up along side each other to create a building/skyscraper effect. 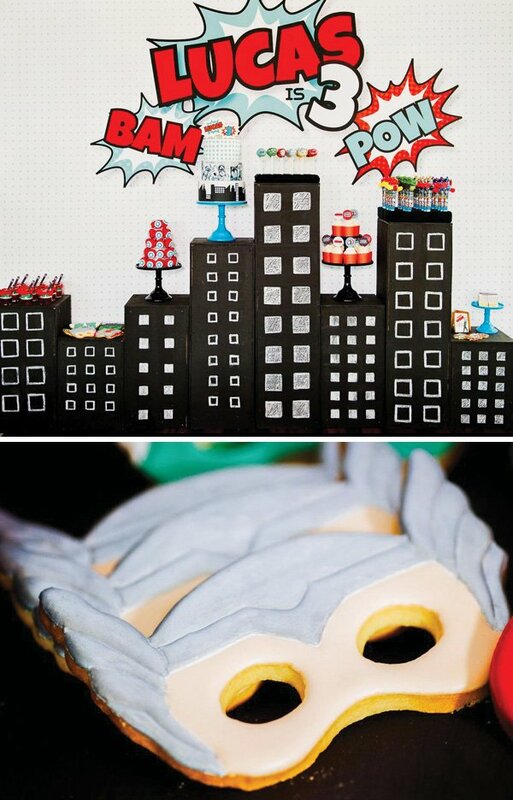 The desserts were displayed on top of the “buildings” at various heights. 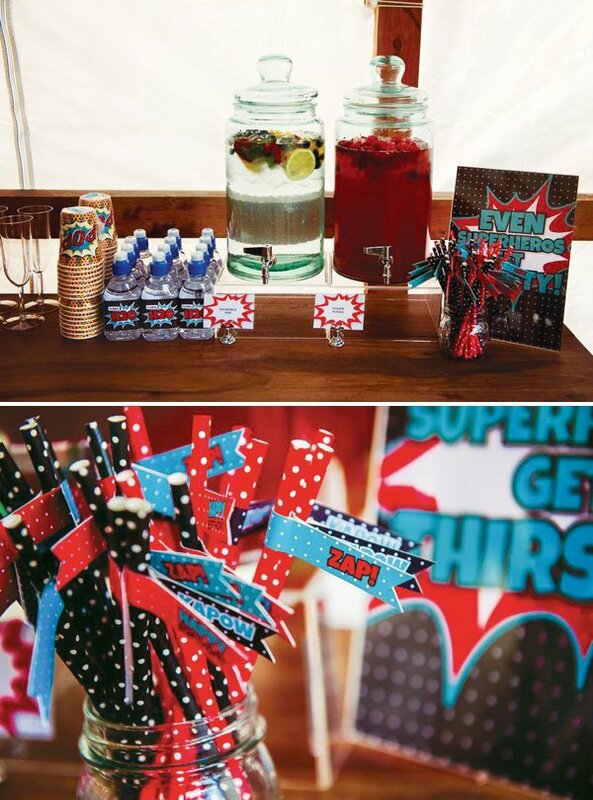 For the backdrop, Elise from Sweet Scarlet Designs created a vibrant, pop art style backdrop and printable design set. 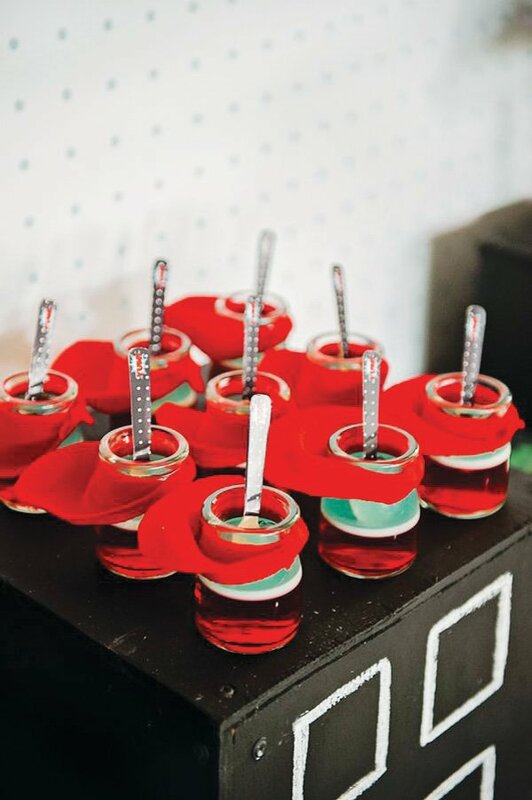 I loved the pop of aqua blue & red against the white and black. 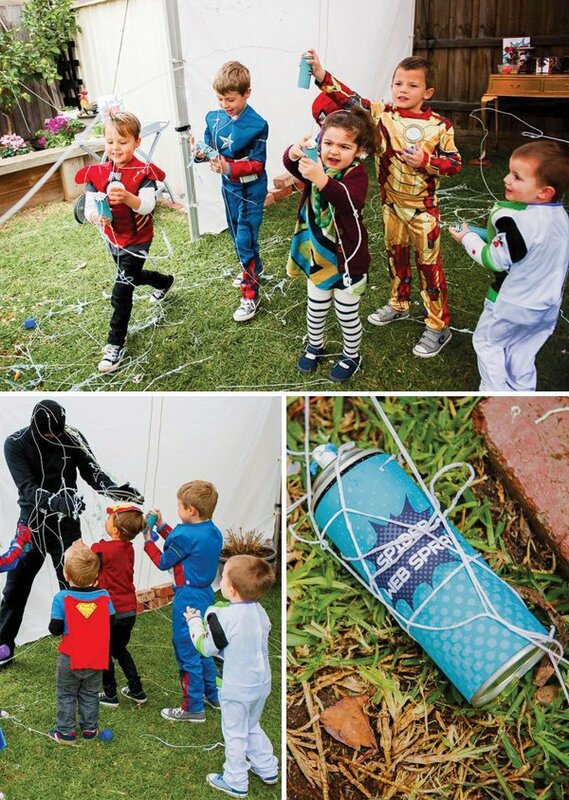 I love to keep the kids occupied, so I setup lots of Superhero inspired activity stations — we had “Shoot the Baddies” where kids shot tin cans wrapped with villain imagery with a toy gun and Nerf bullets; “Hulk Smash” where the kids smashed up wafer ice cream cones with giant Hulk fist gloves; “Pin the Star on Captain America’s shield” and a “Spider Web Attack” where Lucas’ Uncle Damian dressed up as a robber with a black balaclava and the kids sprayed (or should I say “attacked”) him with silly string. 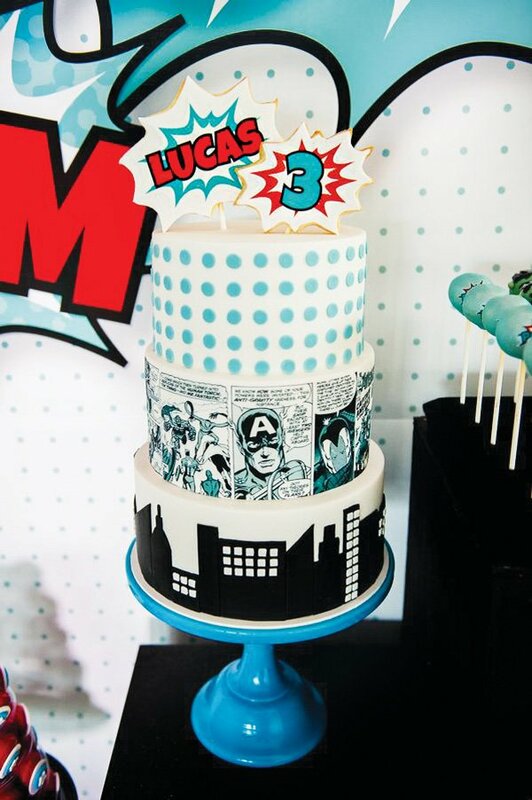 The 3-tiers of the cake by Helena of Sweet Tiers had pop art polka dots, edible imagery of Avenger cartoon comics and a building skyline. 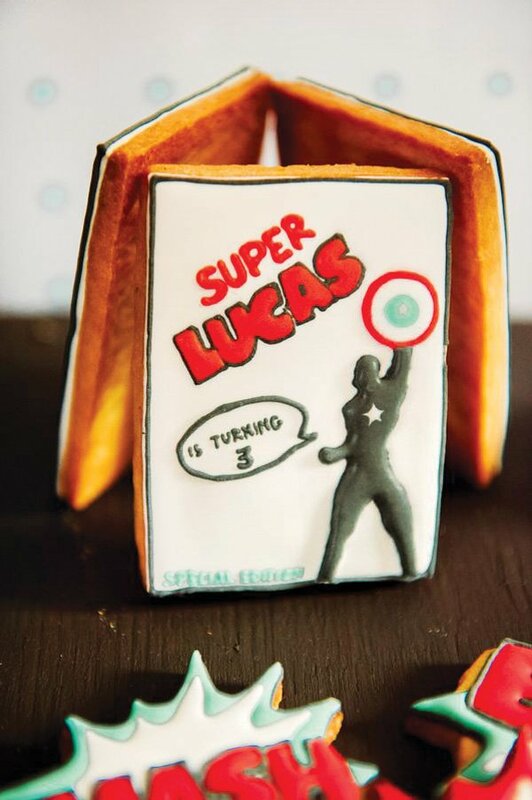 Some of the other desserts we served included Captain America shield macarons, jelly pots with little red superhero capes tied to them and Avenger cake pops. 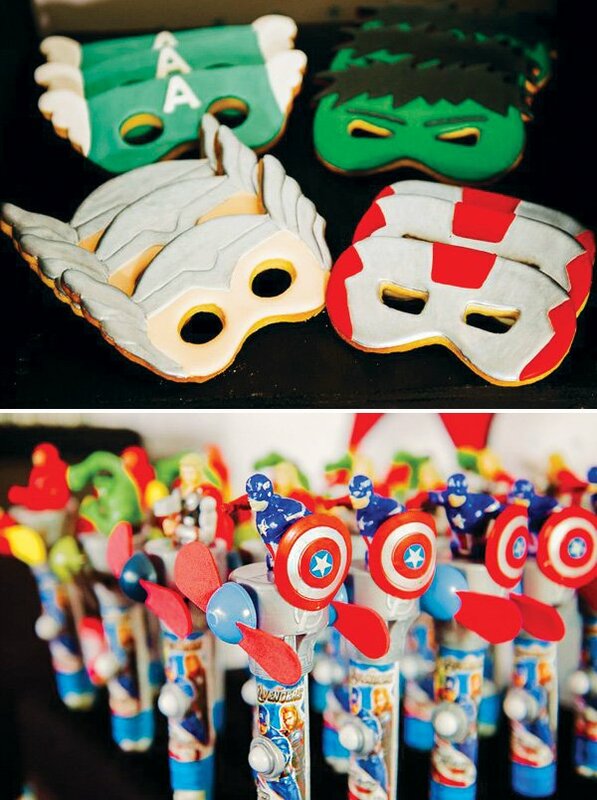 We also had some amazing sugar cookies made, including the Avenger masks. 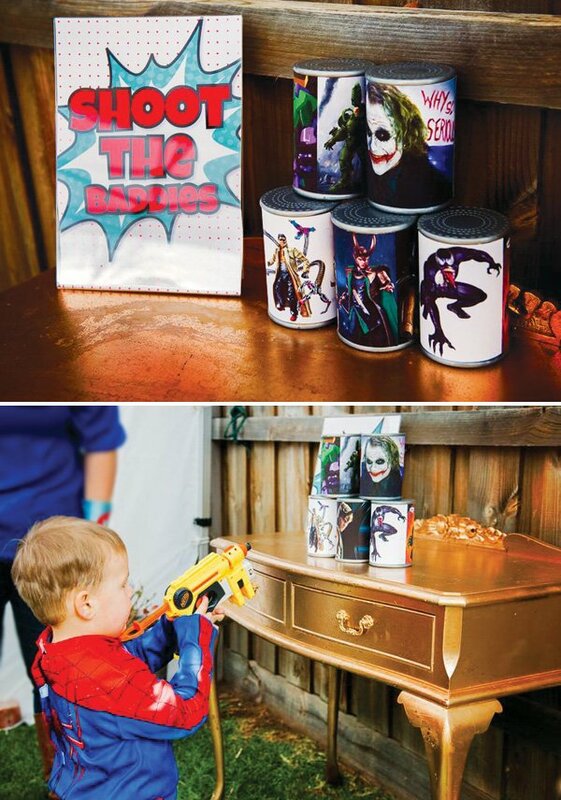 Noo from Dessert Menu Please made them the perfect size for little faces and the kids could hold the masks up to their faces and look through the eye holes — that was super adorable! 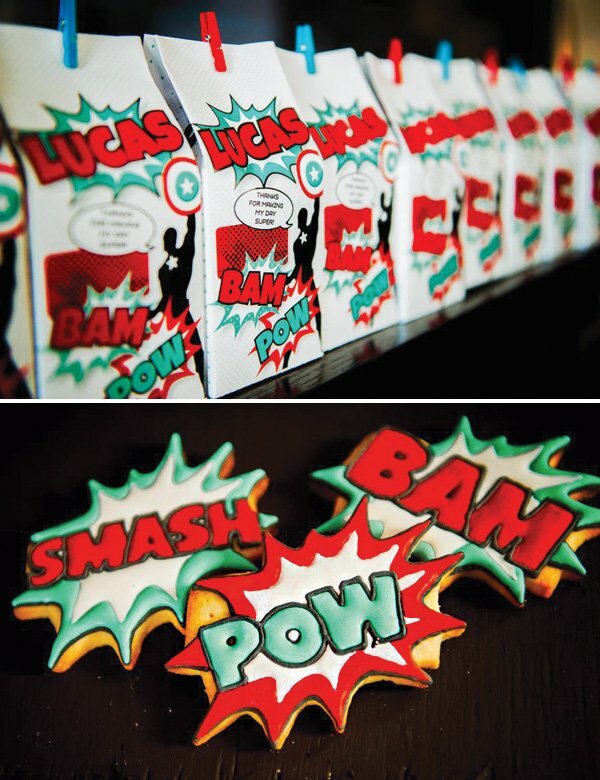 Noo also made “BAM” and “POW” cookies, as well as some awesome comic books with “Super Lucas” written on them. 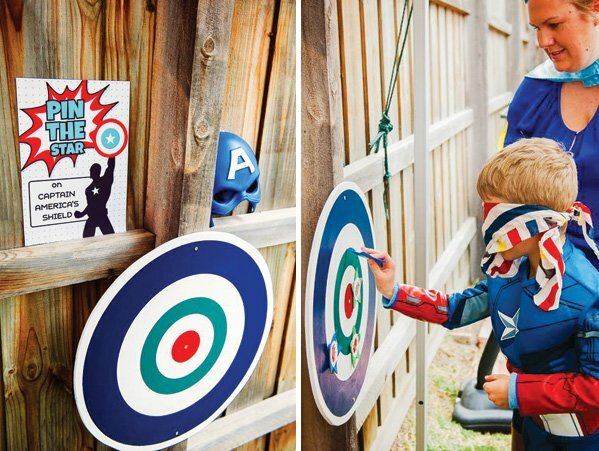 Her skill is amazing! 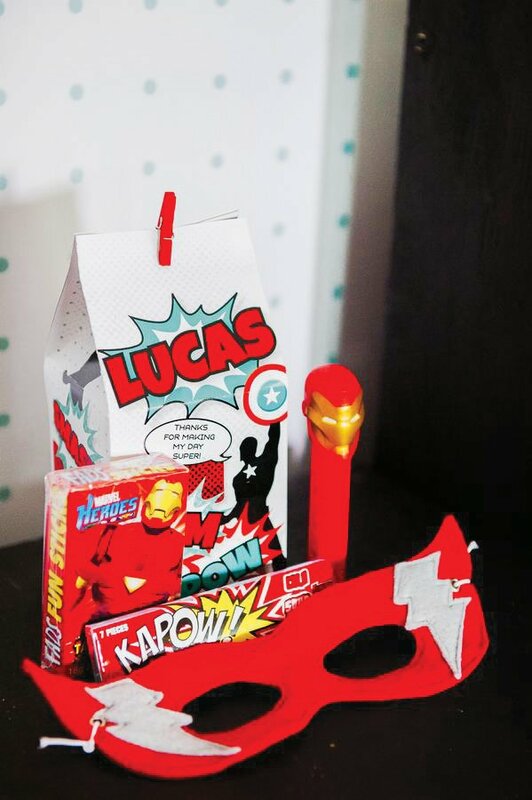 For favours, the kids were given custom made superhero cartons filled with “super treats” including a superhero mask, Avengers colouring book, and some sweet treats. 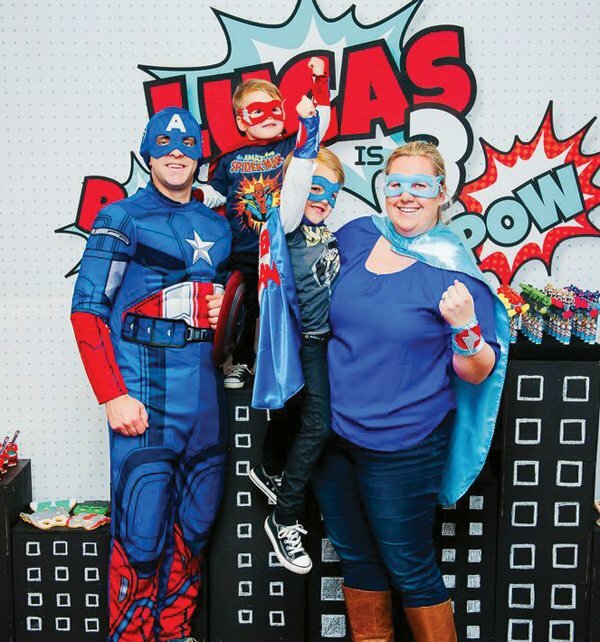 It truly was a SUPER DAY for my little SUPER BOY Lucas! 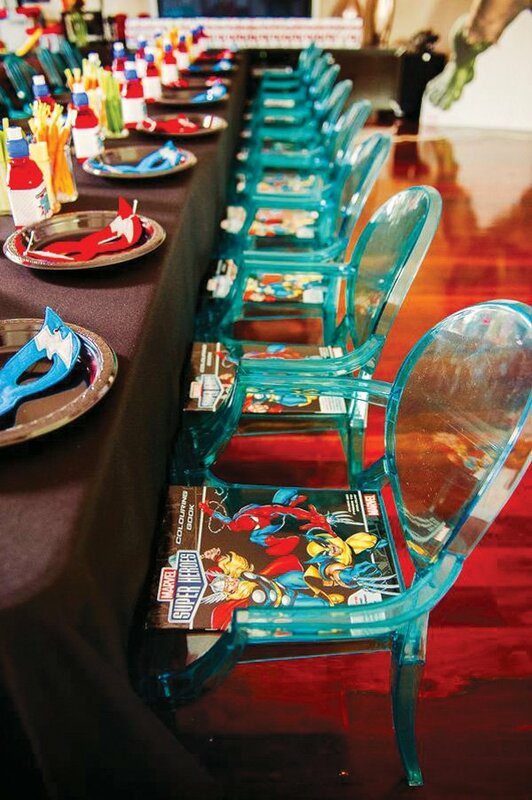 Where did you get the Martell chairs? Wow very impressive. 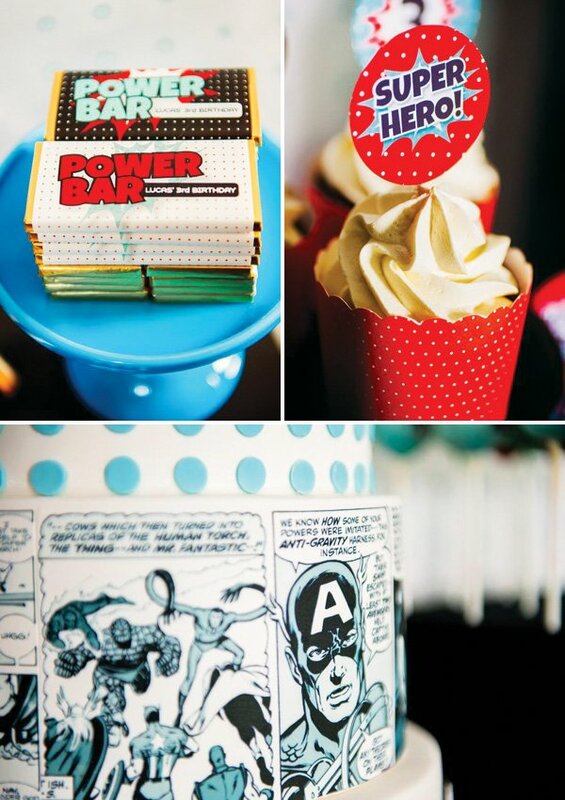 Was it difficult to find the edible comic art? 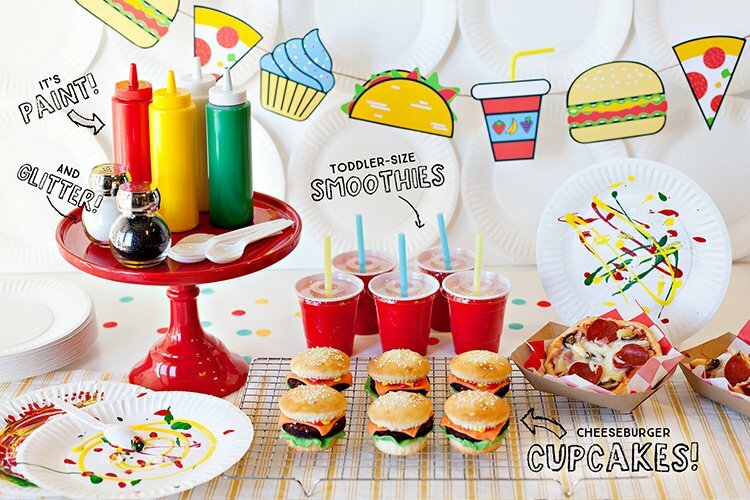 How would I do that? 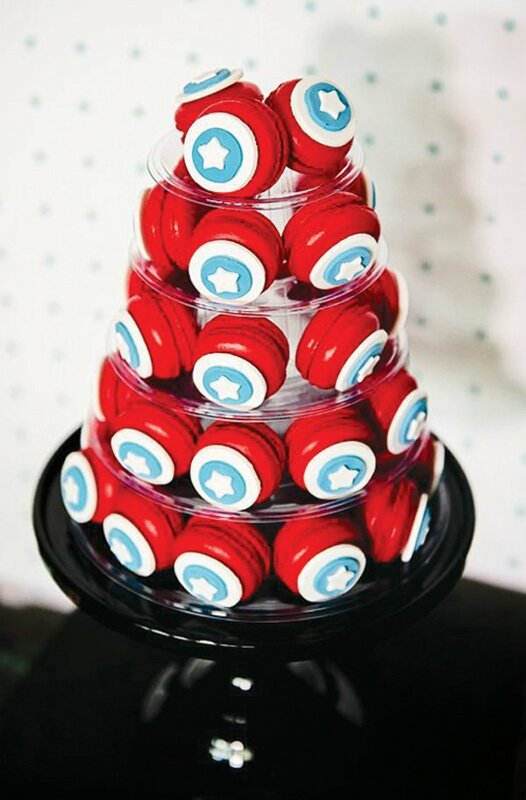 Where did you get the 5 tiered stand for the macaroons? 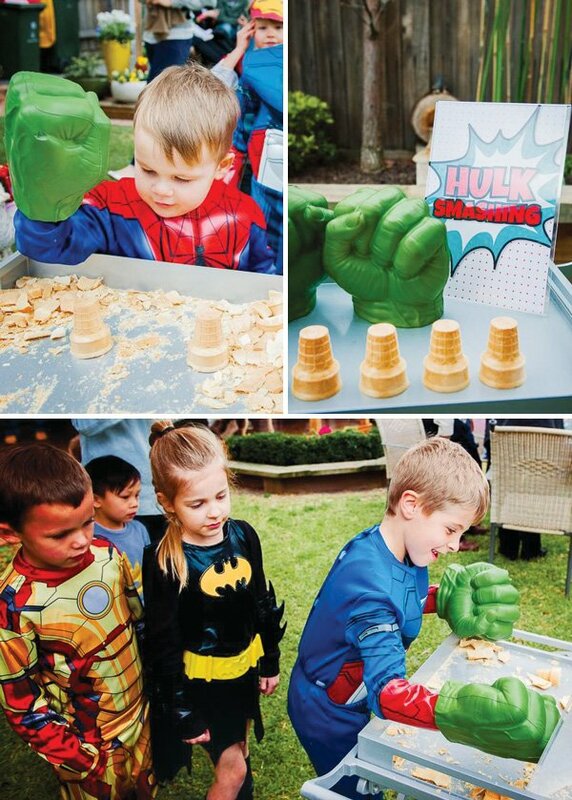 How does the hulk smash game work? 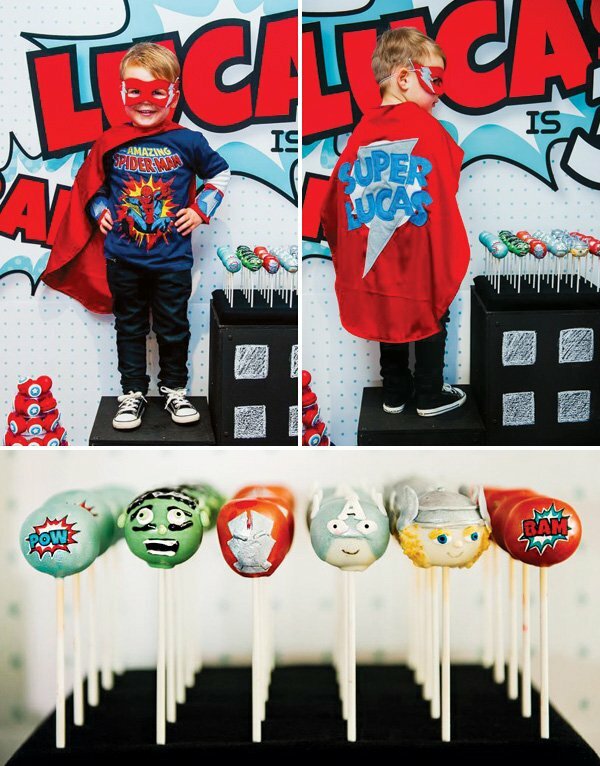 what size backdrop did you order?? 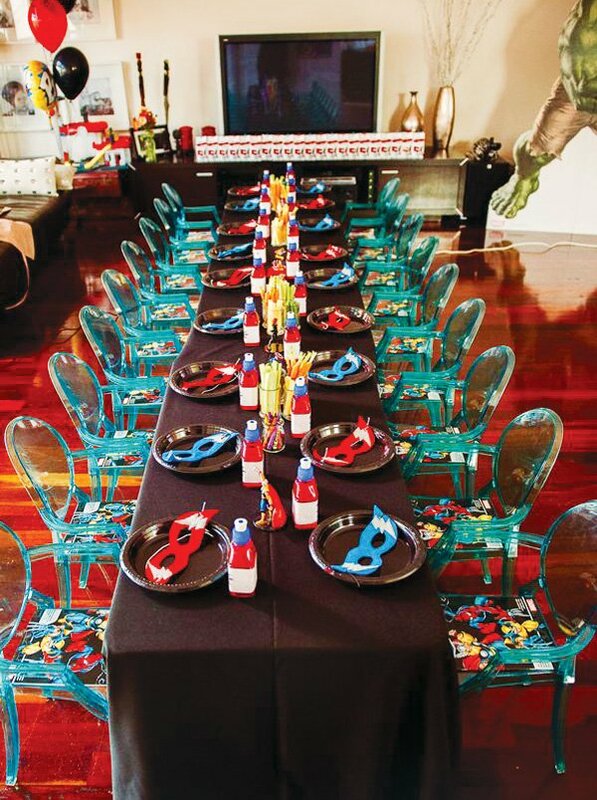 im wanting to get the same size for my boys party!